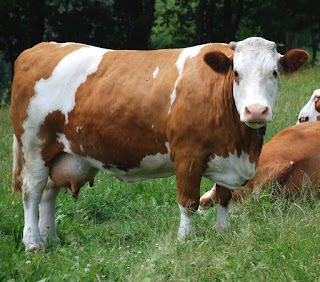 Fleckvieh cattle are medium to large animals with red pied or solid red color. They can be either horned or polled. Average height of the mature bulls is about 150-165 cm at the withers, and about 140-150 cm for the bulls.